Ugh, jeans shopping! Am I right? It can be so difficult to find your perfect fit! Enter Fitcode to the rescue. Fitcode was founded by model Rian Buckley in 2015. As a model, she saw first hand how identical pairs of jeans could look drastically different on two different people, even those of the same size. Using an algorithm, her team developed a service that helps consumers find their best fit based on body type not size. I was on the fence with two of the questions: rear and thighs, both times debating between the middle two options. Going with curvaceous and athletic resulted in a Fitcode of 710 and using average and toned gave me a Fitcode of 500. There were several jeans that fell into both of these categories, three of which I owned and thought I could review. My older jeans are Hudson. 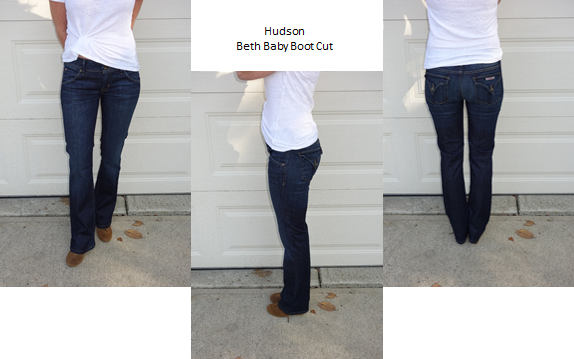 I have the Collin Skinny style as well as the Beth Baby Bootcut. They are both the same size but I feel the Collin has a distinctly snugger fit. I’ve been happy with both pairs although do feel they slip down at the waist/hips a bit as the day goes on. 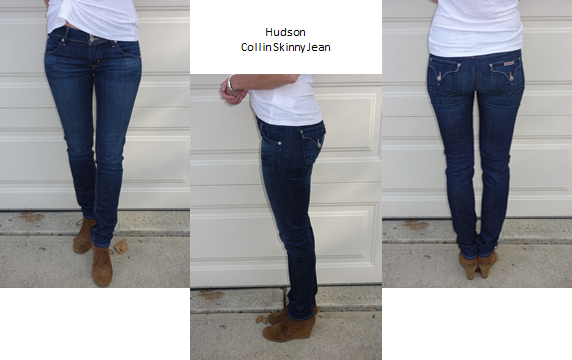 But the Collin Skinny has been my everyday go-to for years now. 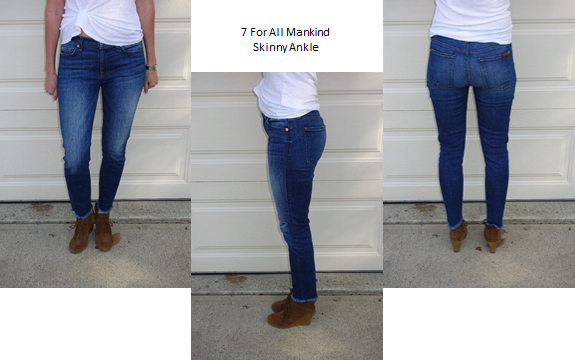 The 7 For All Mankind Skinny Ankle pair shown below is a newer pair and are my current favorites. They have a slightly higher rise that seems to prevent that dreaded hip slip. It’s been so nice not having them drop as the day goes on, I’ll make a concerted effort to look for mid-rise styles from now on. 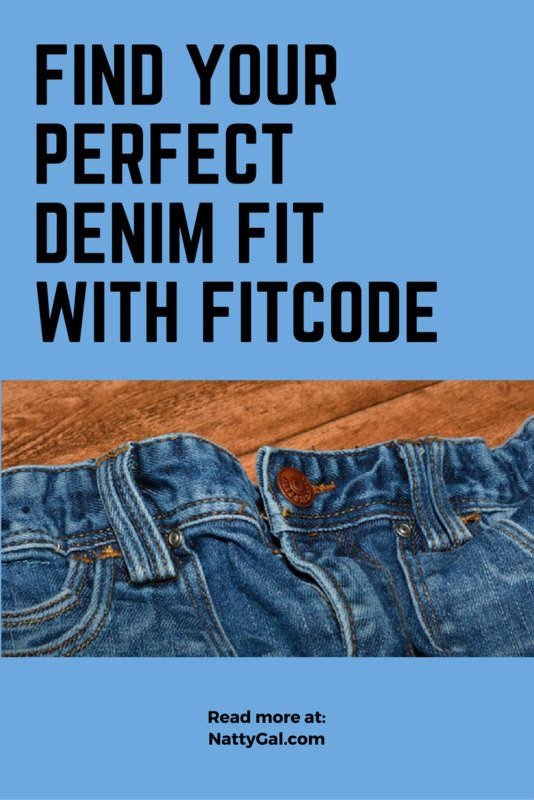 In total, the algorithm gave me over 1,000 jean options for Fitcode 710! You can star favorite pairs in your boutique so that the next time you go jeans shopping, you’ll have a great starting point. Fitcode even recommends whether a product runs true to size or if you should size up or down! If I have an issue, it’s that I wish there was a drop-down for Fitcode Number so that if you are between two numbers or want to see which pairs overlap two categories, you easily could. Currently you must re-take the quiz and manually compare styles that come up under both. Also, it would be great if you could add feedback after trying recommended pairs so that the algorithm could “learn” from you and hone in on only the very best pairs. I know I’ll be using this as a resource the next time I go jean shopping! Especially when shopping for a brand that I haven’t tried before. And did I mention this service is FREE? Have you tried Fitcode or a similar service? Were you pleased with the results? I’d love to hear from you! I love this concept! I typically wear a set size, but we all know every style and brand is different. Thanks for linking up! Thank you Julie! I think it could be very helpful when trying new brands! Thanks for hosting such a fabulous link-up!